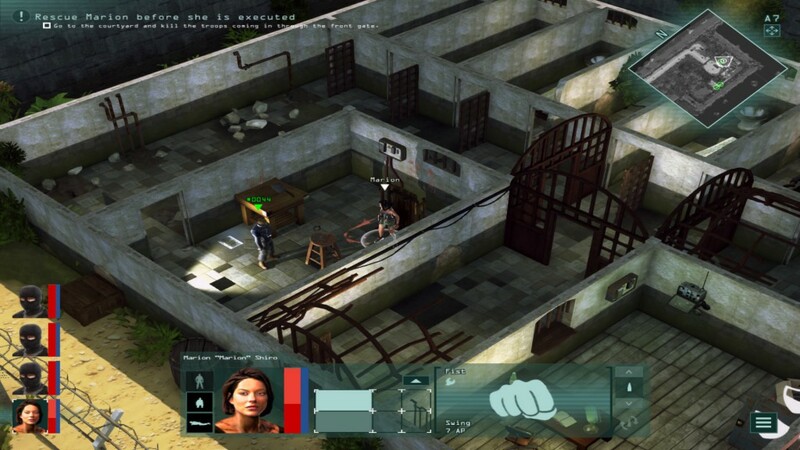 A while ago, we’ve done a preview on the game Jagged Alliance: Flashback. It’s been quite a while since then and meanwhile, the game has been officially released. Time to see how this game has evolved the last couple of months. 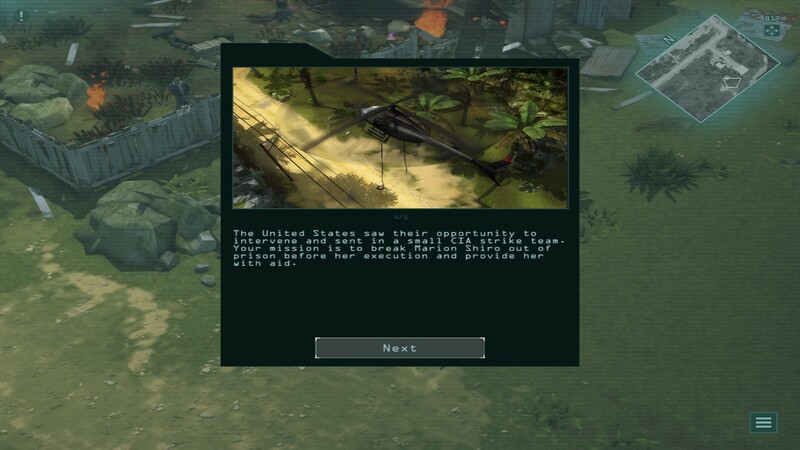 In our preview of Jagged Alliance: Flashback, we’ve already provided the readers with a small summary of the story. Here’s another small recap. It’s 1988. San Hermanos is under the power of a guy who conveniently calls himself ‘The Prince’. He’s a first class crook and will not hesitate to eliminate anyone who dares to stand up against his regime of terror. Marion Shiro, the leader of the rebels in San Hermanos, knows all about the Prince’s ‘ways’ as she’s captured and sentenced to death by his Highness. Like this, the dictator hopes to defeat the rebels and suppress the population even more. Count hereby the production of a new superdrug in San Hermanos and the United States decides it’s time to act. Bringing an army into the country wouldn’t be the best move as it would turn out in a diplomatic catastrophe so it’s up to you and your CIA strike team to infiltrate San Hermanos and rescue Marion Shiro. Unfortunately, the Prince’s goons apparently knew you were coming and they succeed in shooting down the helicopter in which the strike team and Shiro were fleeing the country. You survive the crash and now it’s time to set things right in San Hermanos. The story is pretty cliché and average at best. Count hereby some pretty dreadful spelling mistakes and the whole plot fails to convince. It just misses a lot of depth to be interesting enough. For today’s standards, the game isn’t really what you’d call a great piece to look at. Although the environments are very colorful and enjoyable enough to make your way through, the characters models and world objects in general look substandard. The characters look so ugly you won’t even care if they die or not. On a more positive note, the game world doesn’t feel abandoned or empty as there’re quite a few lively elements present. Burning fires and twirling leaves among other things make the area feel alive. All in all you could say that the characters are not worth looking at but on the other hand, the environments possess enough credibility so they make you feel comfortable enough to explore a bit. As in line with the game in its whole, the voice acting is never more than average. Some voices are pretty bad and feel soulless and empty. Apparently there’s no room whatsoever for a general chat among teammates as your squad members will barely speak to one another. If they do talk, the same sentences are said over and over again with some variations which is kind of boring to listen to. The music is pretty standard without being particularly bad or good. Okay-ish is the best way to describe the soundtrack but it wouldn’t have hurt to hear some more alternation between tunes. The songs tend to get old rather quickly. 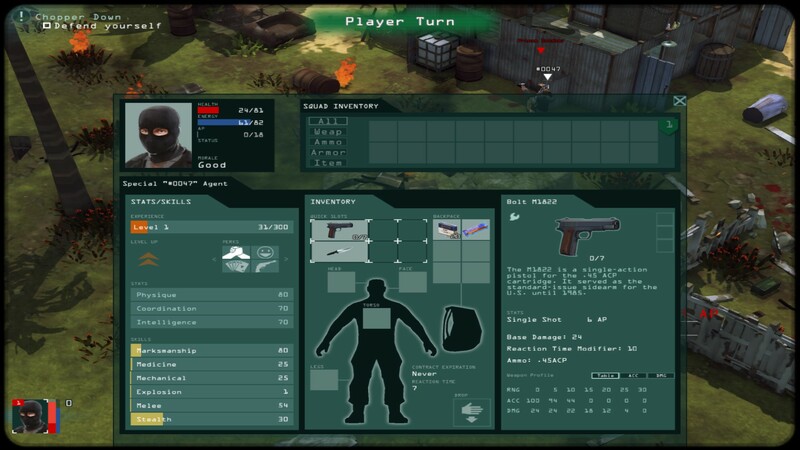 Jagged Alliance: Flashback is a top down strategy game where you take control of a squad of trained soldiers and try to get through areas filled with enemies. Strategy is a keyword here as going in guns blazing is not the best approach in this type of game. If you’re familiar with the XCOM series or the game Xenonauts, then it won’t take long to understand the do’s and don’ts of this specific genre. All of your actions will use up Action Points (AP) and once your points are depleted, the turn goes to the enemy troops. It’s always of the utmost importance that you keep track of the AP counter as ending a round in the middle of the battlefield, standing straight up and with a gun that needs a reload very bad won’t earn you a victory in most cases. These games are all about thinking a strategy through and executing it step for step without making any catastrophic mistakes. Unfortunately, at a lot of times, the games feels very unforgiving which will put off a lot of newcomers who wish to try out a turn based strategy game. There’s a tutorial present in the main menu (which you probably should go through as it’s about the saving of Shiro) but it doesn’t feel enough to survive in the ‘real world’. The User Interface received a nice upgrade since we last checked the game out. Everything is a lot easier to find and a lot clearer which makes Jagged Alliance: Flashback more fun to play. The inventory system works as it should and doesn’t need much explanation. You just loot the opponents’ bodies by clicking on the bag on the ground and next, you can just drag the items in the desired slot. Fast and simple, that’s how we like it. It must be said though, although not everything is perfect about this game (far from, to be honest), I didn’t encounter a lot of bugs that interrupted my gameplay. Sure, there is the occasional stutter and hiccup, but nothing game breaking. The squad/inventory system works as it should so there’s really nothing wrong with the base of the game, it’s just needs a lot more polishing up. Jagged Alliance: Flashback’s basic gameplay is as it should. The squad system works, the inventory is very easy to use and in contrast to the characters models, the environments in the game are colorful and lively. If you look further than the basics though, you’ll notice soon enough that the game is very unpolished and feels pretty shallow. The story is forgettable, the voice acting goes from average to pretty horrid and the music is nothing special. To gamers who want to try out the turn based strategy genre, I’d say: look elsewhere. Even for the fans of the Jagged Alliance franchise, Flashback will probably not succeed in satisfying your entertainment needs.